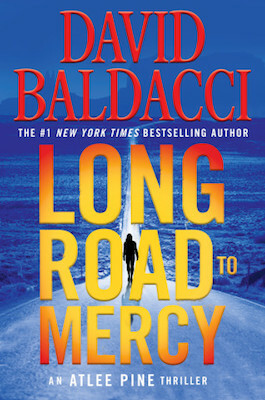 The following is an exclusive excerpt from Long Road To Mercy, an Atlee Pine thriller from internationally bestselling thriller author David Baldacci. In the following passage, Atlee Pine digs into a man’s mysterious disappearance at the Grand Canyon, and finds unexpected connections to higher ups in the defense department. Pine threw her duffel down on the floor and looked around her tiny, Spartan one-bedroom apartment on the edge of Shattered Rock, a town so small that the outskirts and the minuscule down- town area were kissing cousins. The apartment building was three stories tall and fully rented out by a variety of tenants. There was only one other three-story “high-rise” in town—a hotel that catered to those visiting the Grand Canyon. She had never lived in anything larger than a one-bedroom place since leaving home. And her childhood home was a two-bedroom ranch in rural Georgia. She’d heard that the author Margaret Mitchell had never lived in a place with more than one bedroom for a simple reason: She had never wanted houseguests. Pine didn’t know if that was true or merely anecdotal, but she could relate to the feeling. She was a no-visitors, one-bedroom kind of gal, too. She had no flowers in pots, no pets in crates, no hobbies waiting for her to pick them back up when she returned from working on a case. She had heard that your work should not be your life. Yet without it she would have no life. And she was perfectly fine with that. After losing Mercy, she had been put into counseling. As a bereaved six-year-old, she had found it confusing, scary, and, ultimately, unhelpful. Four years ago, she had tried it again. With the exact same result. She had sat in a group counseling session and had listened as the attendees went around the room discussing their most personal issues. When her turn had come, Pine, who had been shot, stabbed, and attacked multiple times in the line of duty, had started to sweat and taken the coward’s way out—she had passed on her turn and never gone back. For some reason, all of this had made her averse to possessions. She wanted to go through life with as few as possible. These included people as well. Some shrinks might interpret that as her being fearful of another significant loss. And they might not be far off the mark. But Pine had never allowed herself the time or opportunity to dig deep enough into her psyche to prove that theory true or false. She showered to take off the dirt and sweat of the Grand Canyon. She dressed in fresh clothes, sat down at her knotty pine kitchen table, which had come with the apartment and which also doubled as her home office, and checked her emails, phone messages, and texts. She had heard that your work should not be your life. Yet without it she would have no life. And she was perfectly fine with that. There was one from her direct superior out of Flagstaff. He wanted to know what progress she’d made on the case thus far. As Pine scanned the email, she noted about a dozen people who’d been copied on it. Two on the cc list were far higher up the food chain than her immediate superior, and the others she didn’t even recognize. The only reason she was involved was that the Grand Canyon was federal property and carried a special cachet in the eyes of the U.S. government. And the Shattered Rock RA really was there for all things Grand Canyon. She had hit the ground running after being assigned to this job. And she had worked hard to build a good relationship with the National Park Service office, local police, and Indian tribes in the area. It could be a tricky endeavor, but Pine had kept at it, and her sincerity and hard work had finally won the locals over. Pine made herself a cup of coffee, sat back down in front of her laptop, and typed in a search for Capricorn Consultants. Lots of things popped up, but none of them had anything to do with defense contracting. She texted Colson Lambert to confirm that was the name of the firm and where he had gotten that information. Lambert texted back a few minutes later telling her that Priest’s brother had volunteered that business name and the field it was in. Pine looked at her watch. It would be after eleven p.m. on the East Coast. Probably too late to call the brother. She looked back at the email trail and had a sudden inspiration. She went on an FBI personnel database and looked up all the names on the cc list whom she didn’t know. She blinked when the man’s picture and background came up. This was a name buried in the cc list. But he shouldn’t have been. Peter Steuben. He was the executive assistant director of the FBI’s National Security Branch, which meant he was the top guy there. The NSB was one of the six FBI branches. It had been created in 2005 in the wake of 9/11 and the suddenly critical fight against terrorism. It was a vastly important branch, in some ways the most important branch of the FBI right now, as it took on myriad global threats against the United States. And here was its head guy dumped in a cc list on a case involving a dead mule. And maybe a missing person connected to a company that didn’t seem to exist, although she supposed that some defense contractors didn’t exactly want a public footprint or a fancy website. Pine had worked at the East Coast FBI before. She felt that the Bureau personnel on the other side of the Mississippi were buttoned-down, uptight, by-the-book types who did not understand why the same rules and procedures could not simply be lifted from New York or DC and plopped on top of the Southwest like a giant template of law enforcement cookie-cutter protocols. Pine clearly understood why those rules didn’t necessarily apply, principally because there was a slew of different elements out here, all wanting and some certainly deserving of a voice and respect. Out here pretty much everybody had multiple guns, along with a healthy skepticism of the federal government. And here you could drive all day without seeing another human being across terrain that sometimes resembled that of an uninhabited planet. Yet she had long since given up fighting that battle with the East Coast boys. She kept her head down, did her job, and never asked for help unless she really, really needed it. But if the NSB was interested in her case, she didn’t know how successful that strategy would be. She could imagine a chopper full of ramrod-straight FBI agents with Jersey accents landing right in the middle of her case and politely but firmly telling her to back the hell off. Fueled by this thought, she looked at her watch again and decided to take a chance. She punched in the number Lambert had given her and waited while it rang on the other end. Pine could hear the man start to sob. She listened as his breaths slowed. I can think of a few reasons, Pine thought to herself. But she told Priest none of them. “Great.” She gave him her email and then clicked off. A minute went by and then the photo dropped into her inbox. She opened it up and looked at the picture of three people standing side by side. One was a tall man about six three, and lean. This was obviously Edward Priest. In the middle was his wife. On the other end was a shorter, thickset man wearing glasses who could only be Ben Priest. She thought of a few more questions and decided to call Edward Priest back. His reply made Pine’s eyes widen and her thoughts swirl in completely new directions. Excerpted from LONG ROAD TO MERCY by David Baldacci. Copyright © 2018 by Columbus Rose, Ltd. Reprinted with permission from Grand Central Publishing. All rights reserved. 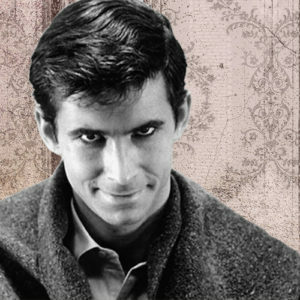 Do Horror and Crime Go Together?